I was looking forward to the blogger dinner meet with Maggi (@magmei), Hanson (@noshandnibble), and Areta (@foodgressing) at the award-winning Cinara in Gastown. 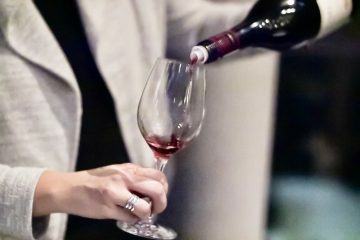 The European bistro with an Italian focus is run by husband-and-wife team Lucais Syme and Gillian Book, whose resume includes Cioppino’s and Blue Water Cafe. Syme is also the name associated with La Quercia and La Pentola, as well as the new Autostrada, all very popular eateries. Cinara was named one of Canada’s top 100 restaurants (rank #67) and one of “The Best Italian” (Bronze) by Vancouver Restaurant Awards. 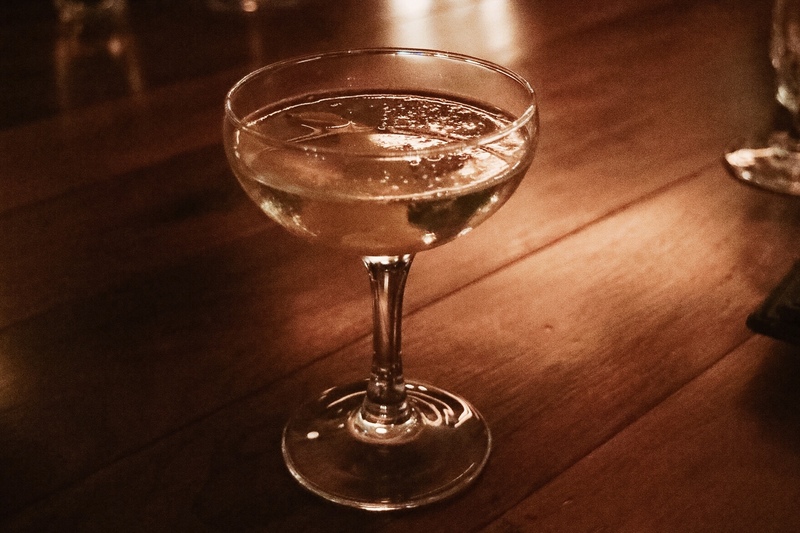 There are raving reviews for the charming restaurant from critics and bloggers. 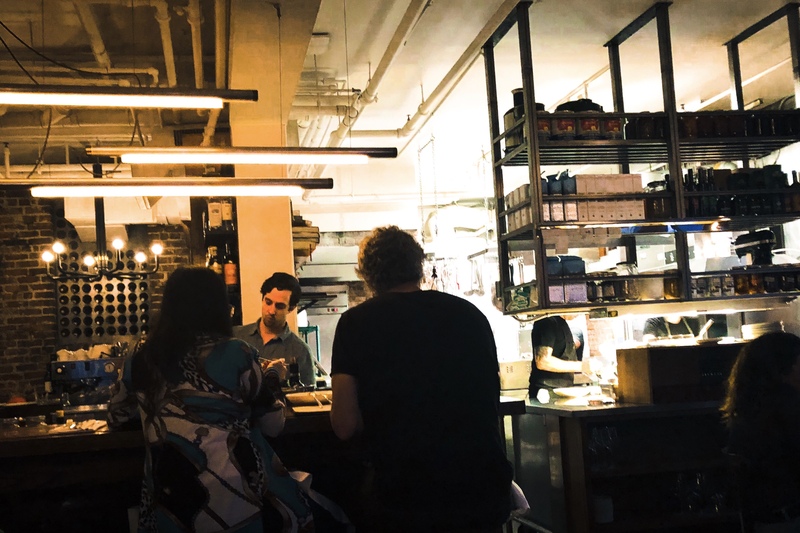 Scout Magazine mentioned the fact that a lot of chefs in the city came here to get a plate of pasta at the bar. This kind of things excites me. I spotted the manager of Coquille eating at our last blogger dinner at Crowbar, and also once I saw AnnaLena‘s Mike Robbins waiting for a table at Savio Volpe. For all that, I was super anxious when I was sitting down at the table. 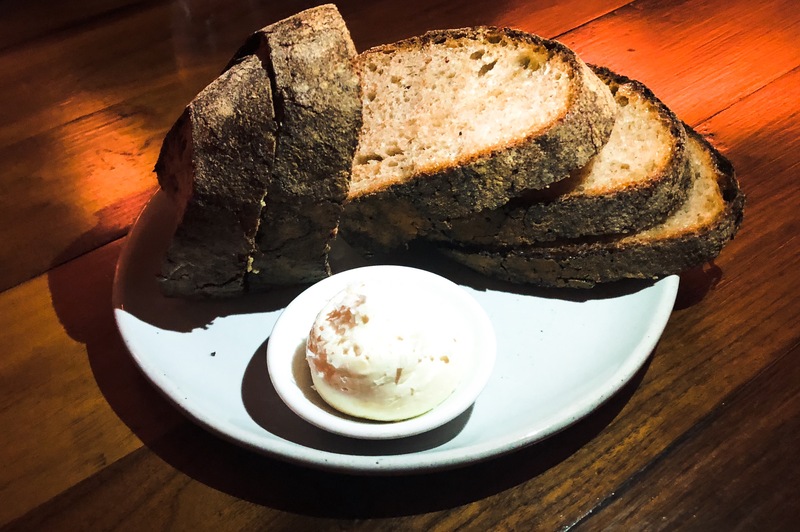 The freshly baked sourdough came to the table with whipped butter and Kosher salt. The crunchy crust and the spongy centre, along with the slightly tangy and lively flavour, all are impressive properties of the great bread. A great start so far. 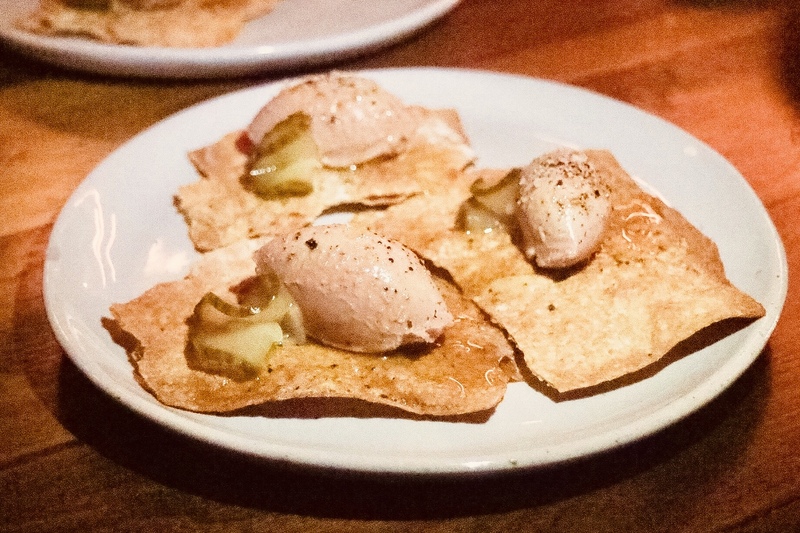 The Chicken Liver Parfait came as the amuse bouche on the crispy crackers with thinly sliced house cornichons. Apparently, this is something they serve at every single table every evening. The flavors were a little bolder than expected, slightly rocking the taste buds. Then the Burrata Cheese arrived, served with a mix of preserved and fresh plum purée. 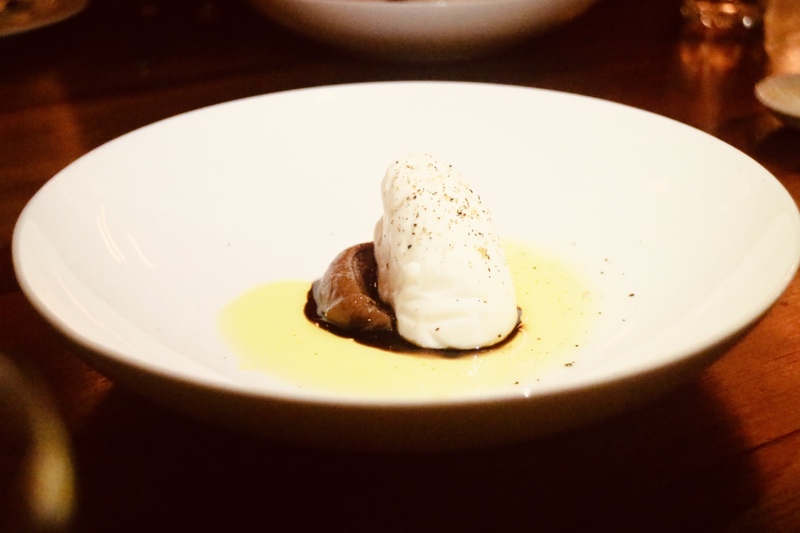 The server proudly announced the freshness of the cheese delivered from Italy, the quality of the balsamic and olive oil. The cheese was indeed in good quality with the usual sweet and umami taste, and the luscious texture. The plum puree was not as excited as it sounded, however. Overall, the combination of such crafted products was not so memorable to me. 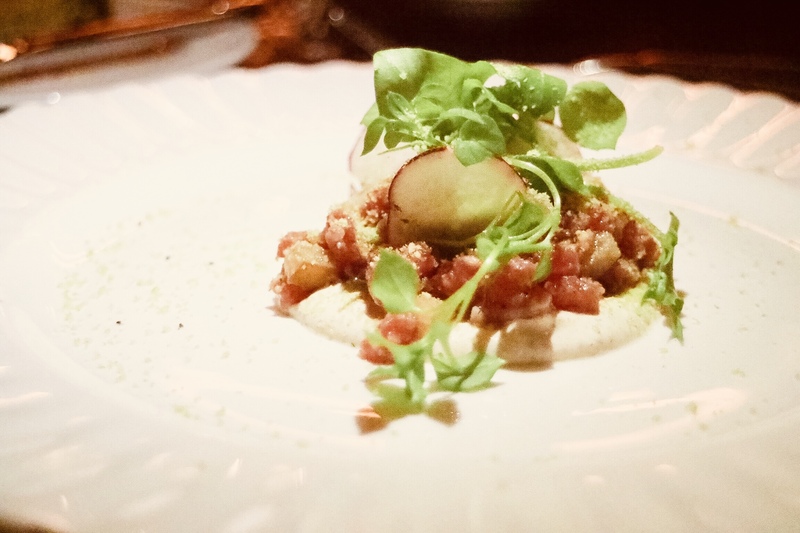 And the next course with the Beef Tartare presented as the losely packed house ground striploin, pickled pear, and creme fraiche, subtly seasoned, unfortunately, was even more forgettable for me. 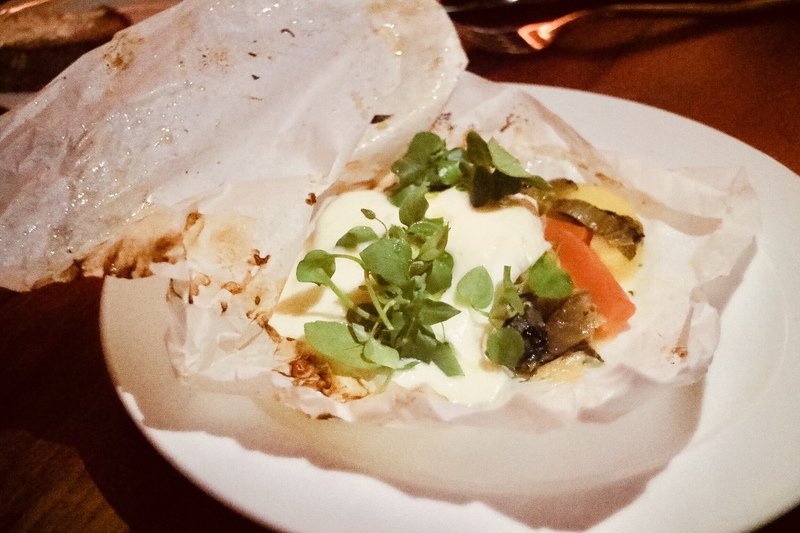 The Pacific Halibut Cartuccio had an even more casual presentation, with the parchment paper unwrapped after taken out of the baking oven. I could also spot potato, carrot, and escarole cooked in white wine and butter along with the fish, as well as the aerated potato cream added on the top right before the dish was served. The flavour was okay but the fish was overcooked and dry. One of my companions felt like she swallowed a very tiny bony object, although not severe enough to ruin the entire dining experience. But even if the fish were perfectly cooked, the dish would be somewhat boring to remember by. The next couple of courses were tastier. 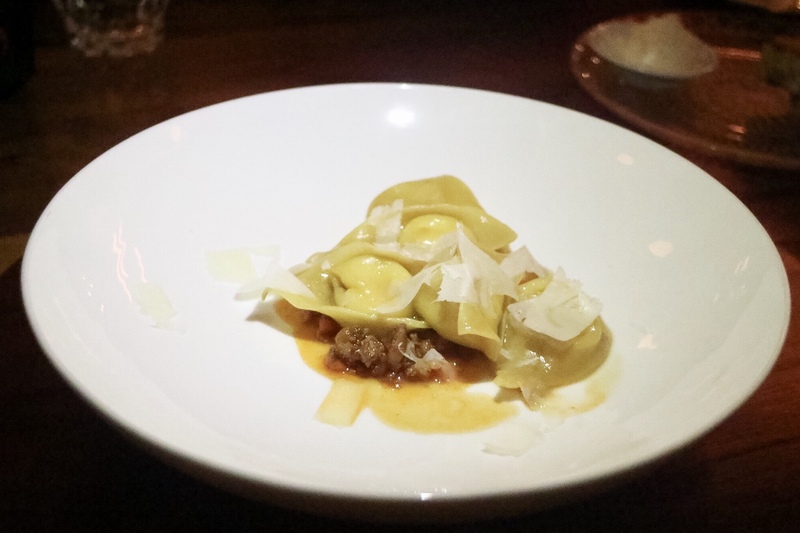 The Tortelloni, a larger version of tortellini, crafted with care with textbook appearance and flavours. But like the previous dishes, it was missing something that I could remember by. 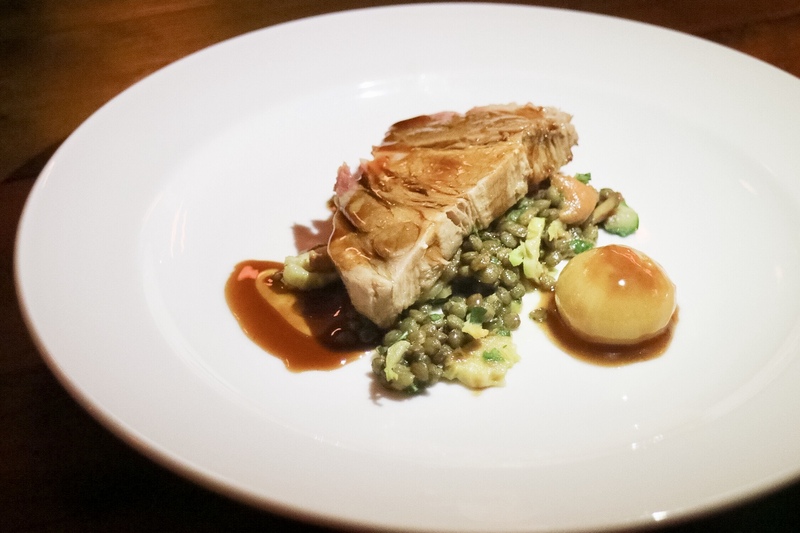 I enjoyed the Braised Pork Collar, served with cipollini onion, cannelloni beans, apples, chanterelle, and Brussel sprouts. The meat was tender and easily melted in the mouth, but the flavor was again, quite one-dimensional. 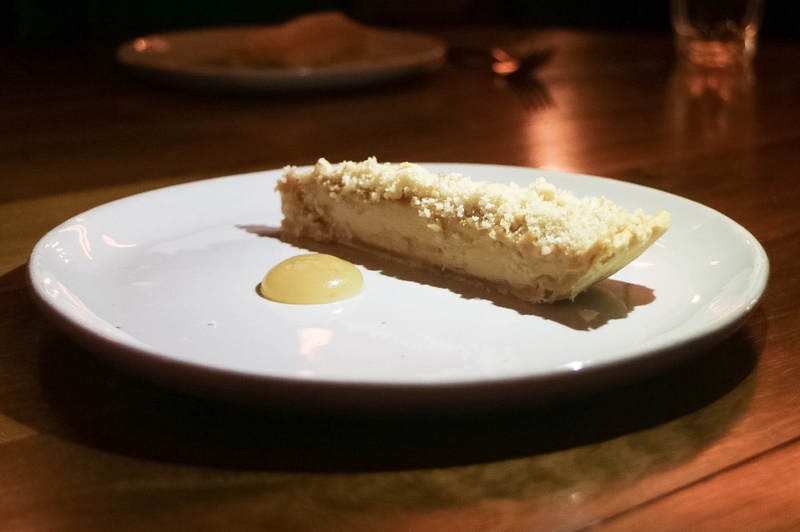 The Salted Caramel Tart gave a sweet and decadent ending to the dinner. For someone who always prefers savory dishes over desserts, I found this course much more stimulating than all the previous ones. Can Molli Cafe keep up the award-winner quality after the change of ownership?